I love body lotions and the treat they give to my skin. Since winter is here and I am indulging into a number of body lotions. Today I will be reviewing one of the latest body lotions in the market. 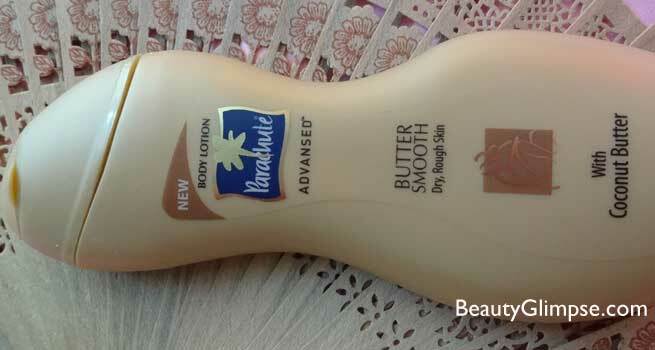 It’s called the Parachute Advansed Butter Smooth Body Lotion. Parachute comes in lot of variants for body lotions and this one is the newest addition to the family. Parachute Advansed body lotion is the only moisturizer with 100% Natural Moisturizers and goodness of coconut milk that makes skin delightfully soft and smooth in just 7 days. Enriched with the goodness of coconut milk, it works in a superior manner to actually penetrate deep into skin and nourish it from within – leaving your skin feeling soft, glowing and supple, absolutely irresistible to touch! 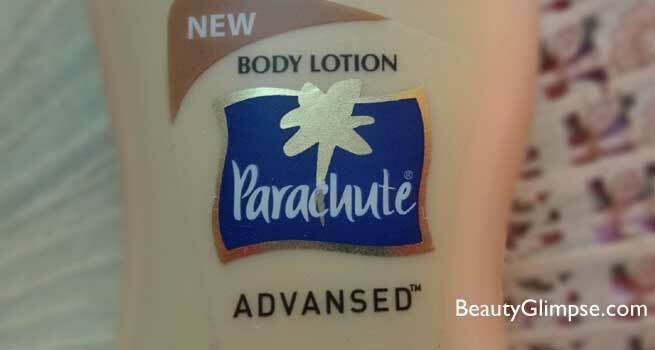 Parachute has a wide range of body lotions. I have used many of them and I quiet liked them. They are super affordable so you can keep on trying different variants from their range. The lotion comes in a super feminine curvy bottle. I love the way the packaging is made and it’s really innovative. It helps in holding the bottle firmly. The pack is brown in color and has a flip open cap. The cap closes with a click so you can rest assured about leakage. The color of the lotion is white and it has an awesome smell. I mean I completely love the smell. It smells like strawberries and chocolates. It’s like you are applying dessert onto your body. The smell is not intense at all and it’s very soothing and relaxing. The smell stays for about 2 hours. The lotion has a good consistency. Not too runny nor too thick. It spreads really well and gets easily absorbed into the skin. I usually apply it after bath and I don’t feel the need to reapply it. The skin feels nourished and hydrated. My skin texture has considerably improved after using this lotion. 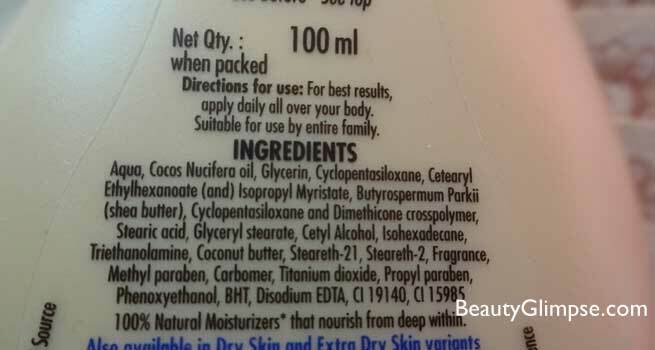 This lotion is not greasy and it won’t make skin shine and oily when you are out in sun. I have used it during the entire winter and I did not face any skin problems. I don’t think it’s good for too dry skinned people and they might need something more intense. Not for too dry skin.